I do not like to post many negative things but this is something that must be dealt with here in the Colonial City as well as in the entire country. The garbage in our waters. Pollution in general. I know there has been a new recycling of plastic going on now. This is a wonderful improvement. I know that they say they will be arresting people for polluting now in Santiago. This is a wonderful improvement. They have garbage pick-up in the Cuidad Colonial 2 times a day plus street sweepers. This is a wonderful thing. If you look at these pictures you will know we need more action and fast. This is what I saw this morning on the small beach behind the Montecinos Monument n the Malecon. This is what I see every morning after a rain. There is usually some garbage but after it rains and all the trash washes down from the Rio Ozama it all lands on the beach areas in Santo Domingo. Click the panoramic image to see the entire picture up close as it is very large. Playita Montecinos after the rain. This is a sandy beach area along the sea front road The Malecon. People and their dogs live in the caves and the beach area is piled high with garbage. 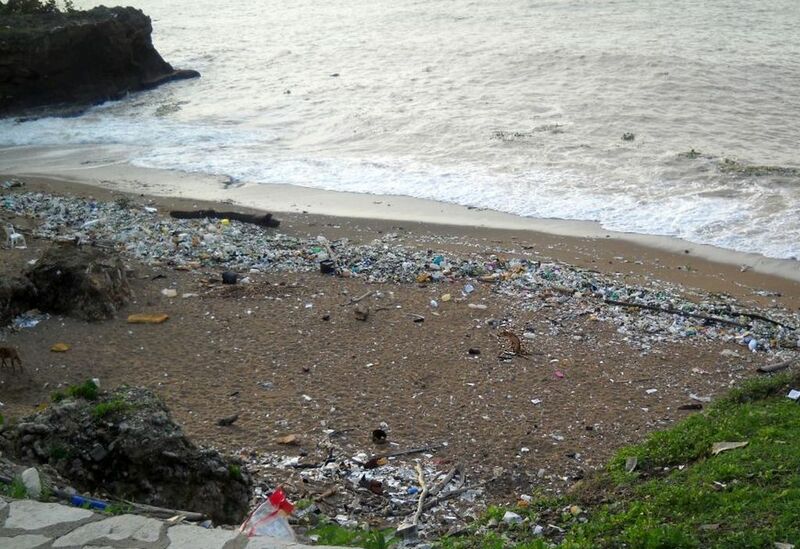 Another polluted beach along the Malecon in Santo Domingo. News - Editorial beach, cuidad colonial, garbage, malecon, pollution, santo domingo. permalink.